Flight VS14 was the 14th mission from the Spaceport in French Guiana for Arianespace’s medium-lift launcher. 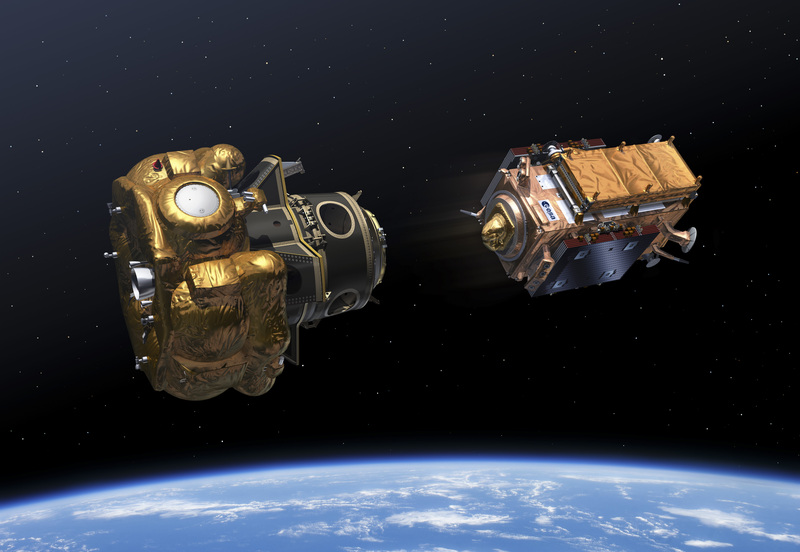 This image depicts Sentinel-1B as it was released during Flight VS14’s multi-payload deployment sequence. At left is Soyuz’ Fregat upper stage, on which the ASAP-S platform was installed with its three CubeSats. At ASAP-S’s center is the extender/adapter that housed the Microscope satellite.